Resident foodie Sarah Murray leafs her way through this season's hottest cookbooks – here are the five new releases that deserve to hold pride of place in your kitchen. Stuck on dinner inspo? If you're a little more takeout these days than you'd care to admit, may we suggest you carve out a little time to review the following. 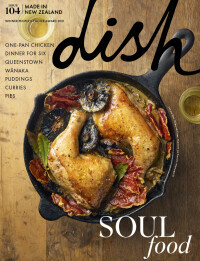 To ensure you're covered this winter, here are five must-try cookbooks, hot off the press. Each worthy of a coveted spot on your kitchen bench. The verdict: At the beginning of every meal, most Koreans serve it saying “Please, eat well.” And with this recipe book, we’re sure you will. The comprehensive offering has everything from soups and stews, rice and noodles, not to mention desserts and drinks. Korean cuisine can seem complicated, but Caroline Hwang gives a detailed ingredient list for your fridge and pantry arming you with everything you need so you’ll be able to easily tackle the banchan (small dishes) like seasoned shishito peppers, to mains such as the ever-popular Korean barbecue dishes of galbi (marinated short ribs) and Bo Ssam (crispy pork belly). Punctuated by handy annotated maps with things like ‘how to make Kimchi’, you will be looking after your health, as well as your taste buds. The verdict: Cuba is known for its bright colours, cigars and rum, but what is less known about the Caribbean island, is its cuisine. This extensive cookbook collates 350 home cooking recipes that explore the country’s past noting Spanish, Soviet and Chinese influences. Interspersed with vibrant photos of daily scenes in Cuba, the cookbook showcases authentic dishes with recipes for appetizers like green plantain chips and mains like Cuban paella. Giving an intimate look at the contemporary food culture in the country, the cookbook comes alive through detailed descriptions of the origins of the meals mixed with stories and memories. The verdict: The humble cauliflower has experienced a resurgence of late and now has been idolised in a book of its own. Proving to be the chameleon of the vegetable world, this cookbook tells you exactly why the Cauliflower is now king by showcasing 70 recipes of how to work with the cruciferous plant. Going through the basics such as roasted, barbequed and stir-fried, it then moves onto the carb-free option of cauliflower rice before giving you the recipe for cauliflower, lime and coconut cheese cake and cauliflower pizza bases. It highlights the cauliflower as a healthy wholefood staple, cosy comfort food and culinary trend all at once. The verdict: With 100 simple flavour-packed traditional and modern Asian dishes, this one offers the vast diversity of modern Asian cooking. Joyce shows you how to create the zingy fresh flavours at home yourself - from grilled sticky skewers, steak tacos, and dumplings, to prawn katsu bao and miso-glazed ribs. Each dish looks mouth-wateringly good (and it should do as Joyce is a successful food writer and stylist) and will start you on an Asian cooking journey you’ll never want to end.